Annual Statewide approvals remained high at 70,897 in July 2017. Approvals for multi-units have moderated since the peak in late 2016. This can be attributed to a backlog of residential projects that are fully approved but have not commenced (which is double the historical average), and a tighter restriction on finance and policy measures targeting foreign investors. 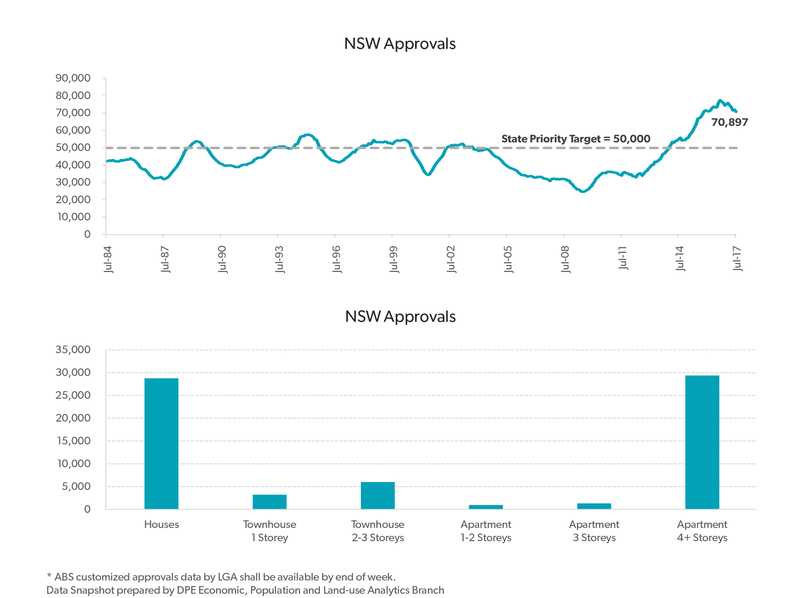 Strong population growth in NSW should ensure that approvals remain at high levels.